Anyone who operates a motor vehicle on behalf of your organization presents risks: human risks inherent in the driver, him or herself, and the risks rooted in the purpose or cargo of the transport vehicle. The human risks are present for virtually any type of driving job. However, the specific job or role related to the purpose or cargo may be considered a “high risk” driving job, and trigger deeper concerns that demand more thorough background screening. Piloting a limo through city traffic presents a different level of risk than driving an armored truck loaded with cash. A driving job that requires transporting dangerous or very valuable commodities, or other people, includes role-specific risks. These risks will vary depending on the specific job, so an analysis of the exact duties is inherently part of the evaluation of risk in these cases. For example, transporting highly valuable items such as cash or pharmaceuticals raises risks of theft or robbery in addition to the risks inherent in driving. 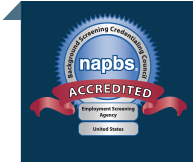 Jobs like these increase the depth of background screening required as well as the appropriate level of training. Some job-related risks may be covered by regulation. Rules governing common carriers often stipulate licensing, training, and limits to hours of continuous operation and/or rest periods. But beyond these, drivers in industries with exceptional risks may be required to meet additional standards, e.g., cash transport drivers may have to be certified free of relevant criminal background or be licensed to carry firearms. Items like these should be reviewed through background research. Carriers are often required to do background screening to fulfill the terms of a contract with a customer. Employers in these cases should be alert to the fact that the contract requirements may actually ask for lower levels of screening than needed – the contract terms should not always be considered the upper bound for background screening. Whether the driver is a contractor or a regular employee, their actions may create liabilities for the organization. The best rule of thumb is to hold independent contractors to the same level of screening you would perform on your own employees. The value of your brand is intangible until something bad happens that makes customers avoid it. Sometimes accidents or other types of risks happen despite careful preparation, but thorough background screening can help to avoid a bad hire that makes the risks more likely to happen. It is a mistake to file the job applicant under “finished” after the background check is completed done and the driver is hired or contracted. Over time, the new driver may prove to be a real asset, deserving of your trust. But sometimes, his or her circumstances may change: a driving violation, the lapse of a license or certification, a personal set back that makes the employee vulnerable to opportunities for theft, or other changes that might increase your risk. Regular background reviews to confirm the continued eligibility of the driver for the driving role they occupy should be part of your overall risk management plan. The bottom line is this: When something bad happens, there will almost always be someone who will look around for someone else to blame. If your logo is on the vehicle at the accident scene, you are in the crosshairs. It pays to make sure that the people who drive for you at the very least do not make your risk exposure worse.